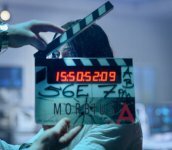 Morbius release date is set for Friday, July 31, 2020. This will be a Nationwide in theaters release. Dr. Michael Morbius, a scientist who suffers from a rare blood disease, attempts to cure himself to disastrous results. He instead becomes afflicted with a condition that is a form of vampirism — the thirst for blood, along with fangs and super strength. Spinoff of the Spider-Man franchise. Based on the character created by Roy Thomas and artist Gil Kane.